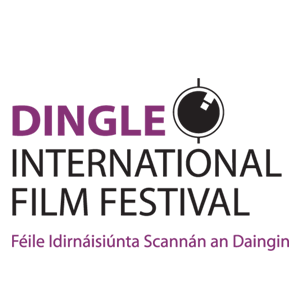 This Thursday sees the beginning of the 12th year of the wonderful Dingle International Film Festival which has a crammed programme of quality features, shorts and fantastic events over the course of four days. Whilst I would encourage all film fans to travel to Dingle to experience the magic of such a prestigious event in beautiful surroundings there are some simply unmissable films on show and I have put together a list of 5 such films. It is worth noting however that there is plenty of exceptional films on show aside of these 5 at the Dingle International Film Festival and it's well worth checking out http://www.dinglefilmfestival.com/ for further details). 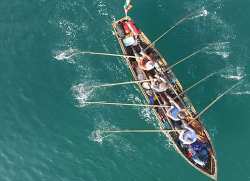 The opening feature of the festival and directed by Dónal Ó’ Céilleachair this magnificent film tells the tale of an epic 2,500 km modern day celtic odyssey, by five men who demonstrate the courage, endurance and friendship required to complete the historic voyage. The fact that this screening was almost instantly sold out tells you of the popularity and anticipation gathered for this incredible film. A second screening has been arranged for Sunday 25th March for those who missed out on Thursday nights screening. Written and directed by Frank Berry,this IFTA winning feature has been earning high critical acclaim and is sure to be another highly popular film amongst Irish audiences on it's nationwide release next month. 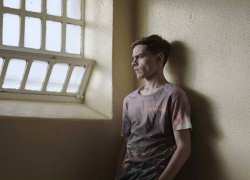 Featuring a superb central performance form Dafhyd Flynn this film is guaranteed to be a big hit among audiences at the Dingle International Film Festival. A real coup for the DIFF the European premiere of this highly unique piece of film making takes place in the marvellous surroundings of St James Church, Dingle and is bound to be popular with the audiences that have travelled back west and to catch a remarkable film such as this in a truly wonderful setting is really what the Dingle International Film Festival is all about! With director Lance Daly and rising star Barry Keoghan in attendance at this screening of the highly important historical drama piece set during the Famine, this event is surely a "must see" for those attending the festival. With an impressive supporting cast including the always brilliant Hugo Weaving and Stephen Rea this feature is another to example of the high quality of programming available at this wonderful festival! The closing feature of the festival and directed by Nuala O'Connor, this film tells the universal story of generations dealing with the consequences of war and civil war; of what is remembered and what is forgotten. 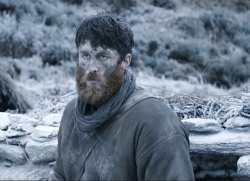 This remarkable documentary brings to light the diverse experiences of some of the 85,000 ordinary Irish men and women who made pension or dependents allowance claims for having actively served during the violent revolutionary period from Easter 1916 to the end of the Civil War in 1921 and brings to a close what is bound to be another superb Dingle Film Festival.